All of units come with solar power pre-installed, and some come with sky lights. Shared laundry facilities for selected units mean you don’t have to buy expensive appliances or pay for them to run. It’s these thoughtful Alchera touches that will help you save money where you can. 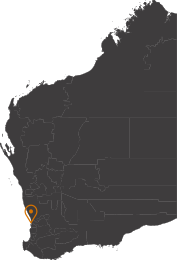 Alchera was one of the first village operators in Western Australia to obtain Lifemark accreditations. The accreditation goes beyond legislative requirements and takes into account our resident’s lifestyle needs and overall satisfaction. We have been independently audited and found to provide a high quality of accommodation against 26 internationally recognised Lifemark standards. For more information on what Lifemark accreditation means visit https://www.bsigroup.com/en-AU/Lifemark-Village-Scheme/ or http://www.retirementliving.org.au/industry/lifemark/. Depending on your financial position or plans, it might be beneficial for you to choose a life lease, or to rent. Whatever your preference there will be a unit to suit you. Alchera is a not-for-profit that ploughs its proceeds back into the villages. We are always looking for ways in which we can enhance the lives of our residents through improvements and upgrades. Our team of gardeners and maintenance professionals are always working to keep the villages looking picturesque. Community – regular social gatherings at the social centre. You’re not just buying bricks and mortar, you’re getting a community of likeminded people coming together with a host of activities available for seniors. When you need a friendly ear or a shoulder, or you just need some small problems taken care of, Trish, our friendly Resident Liaison Officer, is there for you to turn to. Where ever you choose to live, Alchera encourages you to make it your own. Tend to your own garden and decorate your home to suit your style. All Alchera villages take your safety very seriously. We have measures in place to keep you and your guests secure, including gates that close at night and CCTV. Units are available with garages or undercover parking which are easy to access. Some Alchera units are pet friendly, subject to compliance with your village’s pet rules. To find out if your furry companion can join you at Alchera, give us a call today.